“Mary Shelley was one of the first to comprehend and illustrate the dangers inherent in the use of sexist metaphors in the seventeenth-century scientific revolution… The feminist reader is perhaps most sensitized to those symbolic structures which employ gender as a major variable or value. When Francis Bacon announced, ‘I am come in very truth leading to you Nature with all her children to bind her to your service and make her your slave,’ he identified the pursuit of modern science with a form of sexual politics: the aggressive, virile male scientist legitimately captures and enslaves a passive, fertile female nature” (Mellor 89). Following this line of criticism, Victor becomes Shelley’s example of the penetrating male scientist violating the feminine nature. Waldman, the chemistry professor at the University of Ingolstadt, proclaims to Victor that the intention of the modern chemist is to: “…penetrate into the recesses of nature, and shew how she works in her hiding places. They [scientists] ascend into the heavens; they have discovered how the blood circulates, and the nature of the air we breathe. They have acquired new and almost unlimited powers; they can command the thunders of heaven, mimic the earthquake, and even mock the invisible world with its own shadows” (Shelley 29). 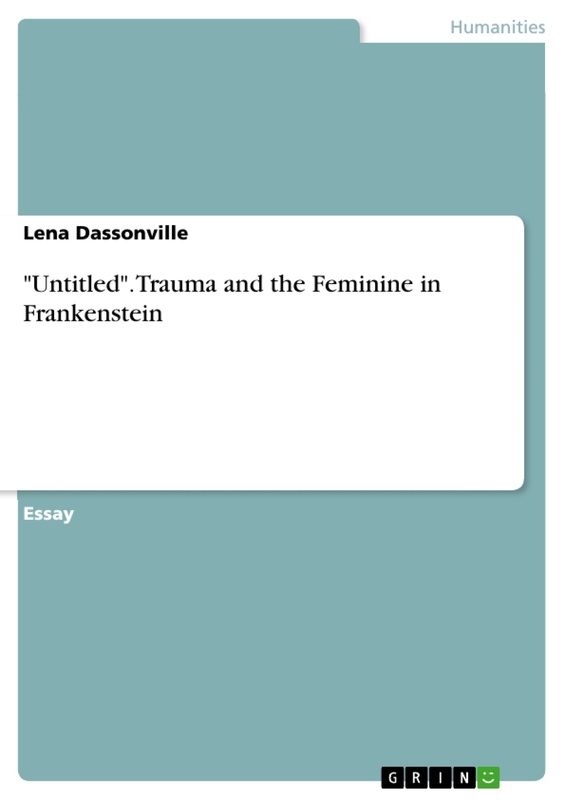 It is here in Frankenstein that Shelley constructs nature as feminine, penetrated by a male science; her thunders, quakes, and shadows stolen and misappropriated from her natural body by the foreign, male phallus. Shelley’s “weak” female characters are only so because of the instability and cruelty of their male counterparts Mellor reminds the reader that: “…many seventeenth-century natural philosophers and their successors viewed the scientific quest as a virile masculine penetration into a passive and by herself uncreative female nature, a penetration that would, in Bacon's words, not merely exert a ‘gentle guidance over nature's course’ but rather ‘conquer and subdue her’ and even ‘shake her to her foundations’” (Mellor 107). Nature then, is something Shelley puts in opposition with Victor.  As a reflection of the male- dominated Scientific Revolution, Victor is a Bacon-esque figure— he observes the female nature as powerless— available to be dominated and controlled. Mellor contends that it is Shelley’s argument that a male science, the science Victor practices, “…thus accords nature no living soul or personhood that requires recognition or respect” (Mellor 107). However, in Frankenstein, Shelley does not render nature powerless and inert. Nature strikes back against Victor, incapacitating him with chronic bouts of illness which Victor describes as “…the commencement of a nervous fever, which confined me for several months” (Shelley 39). Shelley punishes Victor for attempting to reign over the body of nature. Victor has “‘pursued nature to her hiding places’ in an attempt not only to penetrate nature and show how her hidden womb works but actually to steal or appropriate that womb” (Mellor 109). In essence, Victor has “tried to usurp the function of the female in the reproductive cycle and thus eliminate the necessity, at least for the purposes of the biological survival of mankind, of female sexuality” (Mellor 109). It is Victor’s pathological phobia, fetish, and repression of the feminine, even feminine sexuality, that allows him to become representative of a patriarchal science. He is not simply inventing or revolutionizing— instead, through his usurpation of the female body of nature, Victor “uses the technologies of science and the laws of the polis to control and repress female bodies” (Mellor 112). It is not my intention, in including Mellor's theories, to merely speculate why Shelley so chose to punish the eager, arrogant Victor with an oppositional nature, instead I wish to suture Frankenstein with a dialogue bound up with theories of trauma. It is my aim to probe the linkages of trauma inflicted upon female bodies and how these traumatic bodies are not simply rendered passive recipients, but rather how the afflicted female body becomes a site of resistance; how agency can be reclaimed through renarritivization and resistance. 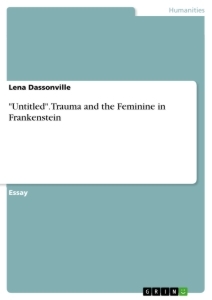 The spaces and geographies of theoretical female trauma contained in Frankenstein are not merely traumas unique to Shelley’s novel, but rather signifiers emblematic of and imbricated in our dominant ideological geographies and collective psyche. Gothic elements in Mary Shelley's "Frankenstein"
The Manipulation of Language in "Frankenstein"